Conversion rates up to 90% ,more energy efficient! More environmentally friendly! The rated power is 1800W; and the maximum power is 2000W. ღ The smallest axis area, the largest fan area, with a special curved frame, to complete the best air circulation cooling system. ღ Highly stable output voltage, better protects the product. 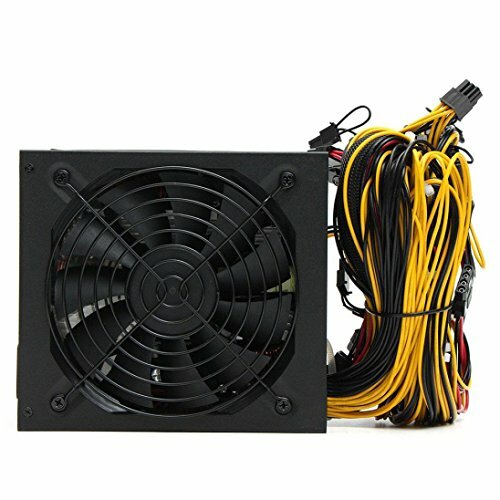 ღ This is a professional power supply for mining. ღ Each power supply has to pass strict aging test before they go out. ღ Support 8 graphics cards (NOT include).